The sessions are usually in the form of a 45 – 60-minute presentation but can be adapted to the request of the school. During the presentation Zahava and Hephzibah show students original photographs, letters and documents collected by Zahava’s mother, to illustrate the talk. The presentation is followed by a Question and Answer session with Zahava and Hephzibah, during which the audience has the opportunity to ask questions about any aspect of the story. The duration of the Q and A session is flexible. 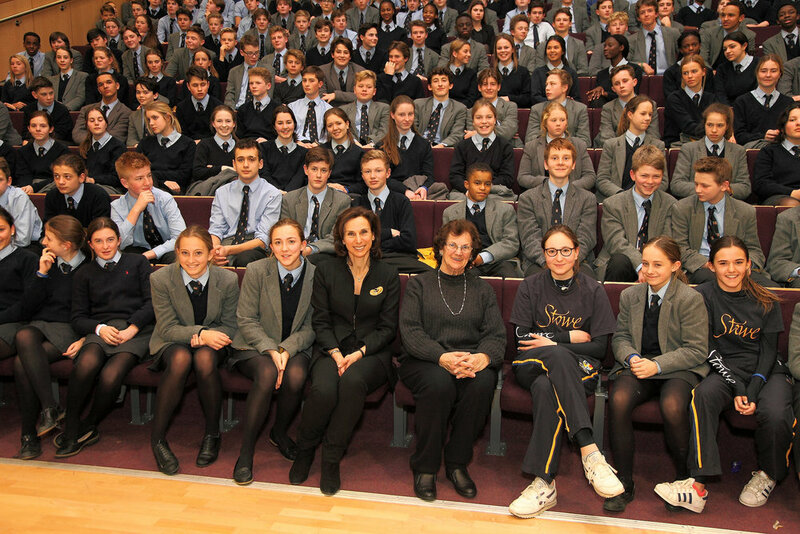 Audience sizes range from 30 to 300 pupils. Part of the reason for the consistently positive feedback is that the sessions are tailored to the needs of each school. Zahava and Hephzibah respond to the questions in the most direct and thoughtful way possible. Questions have always been wide ranging and relate to life before, during and after the war. To request a booking, click here. There is no cost for the presentations. Most sessions are timetabled to take place during lesson time during the school day. Most requests come from History, Religious Education, Citizenship and PSHE departments – but presentations also take place during extended school assemblies or as an extracurricular activity after school. Some schools invite the parent body to attend the talk as an after-school presentation. The presentations are particularly relevant to secondary school children from the ages of 11 – 18. These sessions have been well received by classes of all ages in schools of all types. All the schools have requested that we return next year to speak to other year groups. Zahava and Hephzibah are also invited to address adult audiences outside the school context.